The Australian communications industry is pretty extensive, all things told. There’s a number of factors that cause Australia to bat above its weight when it comes to telecommunications, which isn’t surprising when you think about what the word means – communicating from far away. Australia is as advanced as countries can be, but we’re several thousand miles from another major economy and further still from Europe and the US. And even within our own space, we’re the most far flung big country on the planet, with an average two people per square kilometer. Likewise, the original inhabitants of this big island had to develop a way to quickly and efficiently communicate across great distances. We like to talk, and there’s a lot of distance to cover. Sure, but does it come with Wi-Fi? But still, in the grand scheme of the worldwide telecommunications network, Australia is relatively small potatoes. With only 20 million or so subscribers and isolated from major population centres, we’re of relatively little importance. Hosting data in our country is expensive (thanks to typically high rent and labour costs) and our limited backhaul (ie. international traffic infrastructure) makes it nonsensical for the rest of the world to pull data from our shores. We are bulk consumers of data, rather than producers of it. These factors contribute to the relatively high prices we pay, prices that seem even higher when one considers the poor overall value. Average speeds are low, the wholesale and regulatory regime is tragically overwrought, and until recently caps on the amount of data that could be consumed (or generated) were commonplace. The telecoms world would have you believe that the tyranny of distance and geography have been overcome in our modern age; but they still play a part, as do politics, economics and greed. If a telco is defined as a company that connects individual homes and businesses to the rest of the world, then the only real telco in Australia is Telstra (everyone else connects as far as your exchange, then piggybacks on Telstra's network from there). Telstra is as much about real estate as they are about technology – they own much of the underlying infrastructure that connects the country. This includes several thousand telephone exchanges and thousands of bits of equipment in our streets, but also a vast underground sea of wires, cables, fibre optics and even the pipes in the ground that those wires sit in. They also own tens of thousands of mobile phone towers to have the most comprehensive network for wireless communications. Most importantly for broadband, they own the Copper Access Network (CAN), which is the tangle of copper wires connecting each home, office or building to a local telephone exchange, where they can then connect to a choice of other networks for access to the internet. This is reflected in the ‘Line Rental’ fee that most fixed-line broadband connections have to include, which might as well be ‘The line rental that we ourselves have to pay to Telstra to connect your home to our network”. Telstra is an incumbent provider, meaning that they own the network originally built as a monopoly public utility. There is a view that Telstra ‘inherited’ the taxpayer funded network from Telecom, their government predecessor; but in fact the privatized Telstra paid about $6bn for it. Even if that’s a woefully cheap price (in light of the several billions more in profit they have reaped from it), they do legitimately own it. Of more concern is the fact that Telstra uses its wholesaler status to seemingly make things easier for its retail offering, which can kill competition. Luckily, Australia’s telecoms regulation is relatively strict. Still, Australia dwarfs the rest of the industry, connecting slightly more than 50% of the country to the rest of the world. 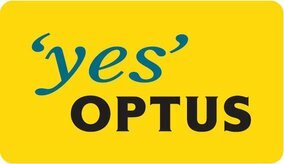 Optus was originally part of deregulation as well, as the inheritor of the satellite arm of Telecom. They started to develop into the baseline alternative for Telstra, building a cable network to get around Telstra’s fixed-line advantage, and capturing many young customers for mobile services. But along the way, Optus has had its ups and downs, and was eventually purchased by SingTel (Singapore Telecom). SingTel is significantly bigger than Telstra, with 400 million customers across Asia, and access to many hundreds of millions more. Telstra has never successfully branched out into foreign markets, making their ceiling for customers around 20 million. So to some degree, Optus has far more weight behind it than its big rival. But its all about leverage, and Optus doesn’t have a whole bunch. They typically don’t get too much support from their huge parent, though they did just get several billion dollars to upgrade their mobile network to 4G. Where Optus has excelled in recent years is in wholesale. They have an extensive network of connection points to most metropolitan telephone exchanges, as well as Australia’s 2nd largest mobile network. They opened the gates for access to these networks to low-cost competitors, and now the best value mobile phone, mobile broadband and Naked DSL are available largely through Optus hardware. This sidestep around Telstra’s dominance has kept them healthy, even as their own direct retail products have failed to find a way to successfully differentiate themselves. Their brand is relatively secure though; they’re still ‘the competition’ in most people’s minds. The letters TPG stand for nothing really; they used to stand for Total Periphery Group back when this quiet achiever was making computer parts in the 90’s. Now they’re a relatively opaque company, but with a simple goal: to provide the best value fixed-line broadband plans. For home phone and mobile, they’re a best-effort competitor using other people’s hardware. But for Broadband, which is where they feel the future lies, they went and laid a LOT of their own cable in the ground. But that wasn’t enough. They went and bought out a company that owned many of the interconnection points between telcos and content providers, the poorly understood Internet Exchanges (IX). And then they bought their own undersea pipe connecting Australia to Guam, which is a major remote interconnection point for the Asian and American internets. That allowed them to become the first company in Australia allowing unfettered, unlimited access to the Web at a time when Telstra was charging the same for 12GB of data. TPG has typically maintained a low profile in an industry full of media-friendly personalities. It is based in Sydney, and continues to turn big profits and add customers. It reinvests those profits right back into its network, continuing to build backhaul and develop ever better value plans. For a budget provider that doesn’t bother to cover up their almost entirely offshored support team, they score quite high in customer satisfaction tests. This might be a combination of providing cheap and fair plans (with little ambiguity), having an extensive network of its own under control (rather than relying on third parties) and running a support and service team that rarely attempts to sell you something extra, a practice that can be frustrating when your original bought and paid for service is having troubles. 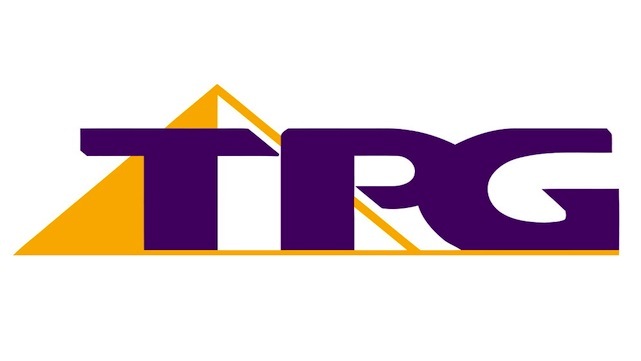 TPG is also a big (around 10-15%) shareholder in their biggest rival, the iiNet group. Internode’s 150GB Easy Naked DSL plan is one of the best value Naked DSL plans on the market, at just $60. Call 1300 106 571! iiNet has long distinguished itself from Telstra and Optus by being ‘geek-friendly’ – rather than obscuring the complex technology underpinning these services by advertising happy families flying to 'The Web' on a magic carpet, iiNet has engaged directly with the nerdy types who will likely be making the decisions in their families. They do this by embracing newer technologies (like Naked DSL) and offering bespoke customer service and technical support. They weren’t alone. Internode, which had similar beginnings, was even more about excellent support and a clean, aggressively tech friendly profile. The two acted as similar but competitive rivals for the role of ‘Anti-Telstra’, doing everything they could to provide a broadband service they could be proud of. iiNet was the first to go public, and used investor money to buy up smaller rivals. Their most significant acquisition to Dec 2011 was AAPT, the failed telco which had built significant infrastructure to rival TPG. This buyout (as well as acquisitions of Netspace, OzEmail, TransACT, and Westnet) gave iiNet big muscles, and helped them avoid being bought out by TPG. But their acquisition of Internode in Dec 2011 was probably their most significant, seen by many as inevitable and mostly welcome. Internode is the only acquisition so far that has stayed mostly independent, thanks to the large portion of iiNet shares (and board seat) awarded to Internode’s founder, Simon Hackett. A year later, it still feels like a merger more than an acquisition. Internode, iiNet and associated companies deliver consistently excellent customer service and technical support, which makes them a premium (if not ‘carrier-grade’) provider. They have recently embarked on a push to offer mobile phone and mobile internet services as well, to appeal to a wider consumer base. Primus began in Australia as an offshoot of their US parent company. They built out a network quickly, but stopped a few years ago and started to fall behind. In 2012, they were acquired by M2 communications, a backhaul builder, which has boosted their strength slightly. Primus is simply not as widely available or as cheap as the above 4 competitors, but they score even better than iiNet group when it comes to customer service. Their entire service and support team is based in Melbourne, highly trained and unfailingly friendly. They scored even fewer escalations to the TIO in 2011-2012 than Internode, the usual gold standard for customer service. Eftel is still relatively small as a wholesaler, but acts as a blanket conglomerate for Dodo and its associated brands. It’s unclear who owns who – Does Eftel own Dodo, or the other way around? Nevertheless, they deliver some of the cheapest broadband in Australia. Dodo has long been the absolute king of low cost, high data plans in Australia. They also use whatever wholesale network they can – Eftel preferably, Optus when Eftel is not available, and Telstra when they’re the only game in town (as is the case in most regional and rural areas). Dodo’s issues with customer services are well documented, but CEO Larry Kestleman has pledged long-lasting changes and improvements, many of which have taken root in 2012. Dodo is also an excellent value, low-cost mobile phone and mobile broadband provider. In the future, control of the fixed-line wholesale market will revert to the Federal Government, under the National Broadband Network. This will bring to a close the 20+ year experiment in telecoms deregulation, which resulted in Telstra controlling a wholesale market while also fiercely competing in retail, a situation that has produced some unsatisfactory consequences. NBNco will replace the Telstra CAN with fibre optic lines to 93% of Australian homes, and use next-generation wireless and satellite technologies for the rest (very remote areas). They will also act as a wholesaler only, with universal coverage and one wholesale access price for all retailers (including Telstra). This will hopefully bring consistent prices and speeds to all Australians, rather than the ‘best effort’ limitations currently in play. As for performance, the network will be engineered to provide guaranteed speeds, as opposed to the ‘up to’ speeds currently on offer and hindered by last-generation technology that was not designed specifically for data communications. The NBN is currently in its first phase of building and is only connected to a handful of sites around Australia. It is scheduled for a 40% coverage by 2016 and universal coverage by 2021. For more details on these companies and for a recommendation for your needs, call us on 1300 764 000!